All purchases made through this website are subject to the Terms and Conditions outlined below and in the other Policies linked from this one. All pricing listed on this website is in Australian Dollars and all orders will be processed in Australian Dollars. If you are under eighteen (18) years of age, you must obtain a parent or guardian’s consent prior to purchase. 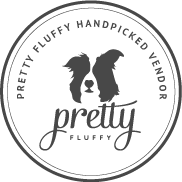 All products offered and the pricing displayed is subject to change without prior notice. Our office is open Monday to Friday, 9.00 am to 5.00 pm. If you require assistance, you may Contact Us via the methods listed. All orders processed via our website utilise Paymate for the secure Credit Card payment method unless you have contacted us and pre-arranged an alternate method. Unfortunately, orders cannot be cancelled or modified once your items have already been shipped. We strive to ensure our stock levels are reflected accurately on our wesbite at all times, but in the unlikely event we receive an order which cannot be immediately fulfilled, we will contact you and provide options on what actions can be taken and / or expected lead time. In the event an item becomes permanently unavailable we will offer a full refund. By creating an account and purchasing our products, you agree to assess the safety and supervise the use of the products and determine the suitability of the product in each individual situation. You also agree to accept all responsibility while using our products (either exclusively or in conjunction with other products) and indemnify us for any loss, damage or injury associated with the use of any/all products purchased from us. It's very important that you select your products carefully, utilising our Size Guide where applicable. Unfortunately we cannot provide refunds on any products (purchased online or at any of our pop-up retail locations) if you simply change your mind. Exchanges can be provided for incorrectly selected sizing (where items are returned in good condition). We strive to ensure that all products are free from damage and defects and will happily exchange any faulty products when notified and once the defective item has been returned to us. In some rare cases, we may provide a store credit voucher if a replacement product cannot be provided to the customer. Any postage fees are strictly non-refundable under any circumstances. Haus of Harley is the copyright owner of the content on this website or is licensed by the copyright owner to use the content. This includes, but is not limited to, product names, descriptions, product images, promotional and lifestyle imagery, website graphics. No part of the website may be reproduced, adapted or transmitted in any form by any process (graphic, electronic or mechanical, including further copying, recording, taping or by a storage and information retrieval system) without the prior written consent of Haus of Harley. 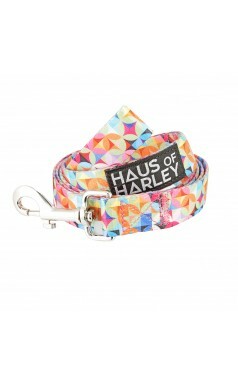 Haus of Harley Dogwear is a registered Trademark. All rights reserved.